There is more than one artist recording under the name of Jim Taylor. #1 Jim Taylor comes from a musical family in western North Carolina. His grandparents, aunts, and uncles played ragtime, old-time, and sang shaped notes in the Christian Harmony tradition. He has been playing and building hammered dulcimers since 1981. In 1986, Jim won First Place at the Southern Regional Hammered Dulcimer Contest in Mt. View, Arkansas. In the past few years, he has been teaching and performing at workshops across the country including The Swannanoa Gathering and The Augusta Heritage Center. #1 Jim Taylor comes from a musical family in western North Carolina. His grandparents, aunts, and uncles played ragtime, old-time, and sang shaped notes in the Christian Harmony tradition. He has been playing and building hammered dulcimers since 1981. 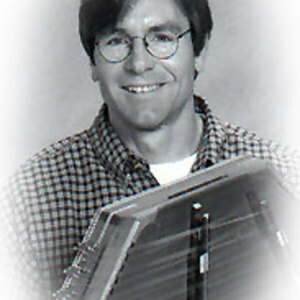 In 1986, Jim won First Place at the Southern Regional Hammered Dulcimer Contest in Mt. View, Arkansas. In the past few years, he has been teaching and performing at workshops across the country including The Swannanoa Gathering and The Augusta Heritage Center. Jim's musical interests include American dance tunes that were common in the mid-19th century, along with Scottish and Irish traditional music. Recently graduating from Western Carolina University with an MA in American History, Jim has combined his love for traditional music and history in several CDs including The Civil War Collection, Volumes 1&2, and The Bright Sunny South. His first recording, Come Before Winter, and his latest, One October Morn, combine traditional Celtic music with some of Jim's original hammered dulcimer compositions. In 1998, Jim and his wife, Sheila Kay Adams, joined forces for a CD project entitled, Christmas on the Mountain, featuring old-time tunes, shaped-note hymns, and Appalachian ballads. #2 Jim Taylor is an Australian folk singer based in Gippsland, Victoria, Australia. He recently released a new album called 'Two Flowers'. #4 Jim Taylor is the founder of Virtuoso House records and records solo material under his own name. He works mostly in folk and experimental styles.